Tell us where you are travelling to! We provide a wide variety of tours and attractions to explore, allow you to pre-book and receive either physical tickets or electronic tickets before you fly. 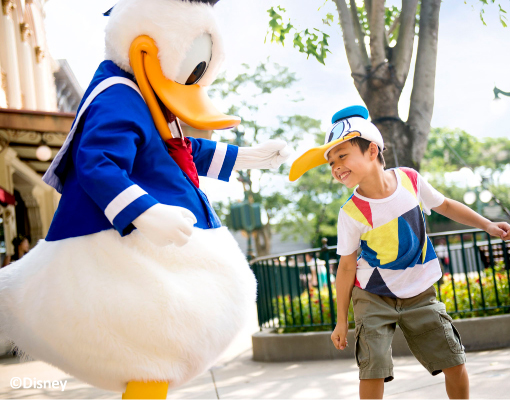 From the most amazing theme parks to off-the-beaten track tours and unique experiences, you can find unlimited activities that is both rewarding and exciting for your upcoming trip. Book low-cost attraction tickets from all over the world. 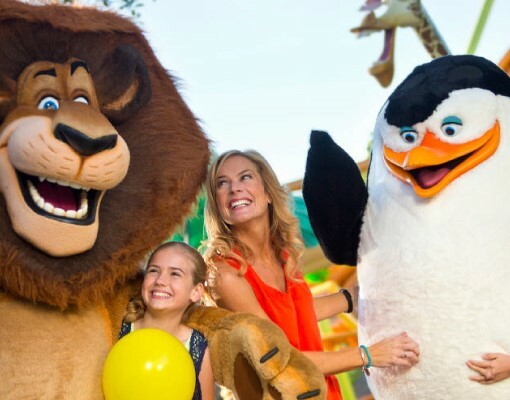 Enjoy the best deals on theme parks, museums, sightseeing tours and more with up to 60% exclusive discount. Discover Unlimited Adventures In The Countries That You Are Visiting! Browse through a variety of tours & attractions, book & pay. Receive your tickets before you travel abroad. Handpicked activities so that you do not need to do your research on "where to go". 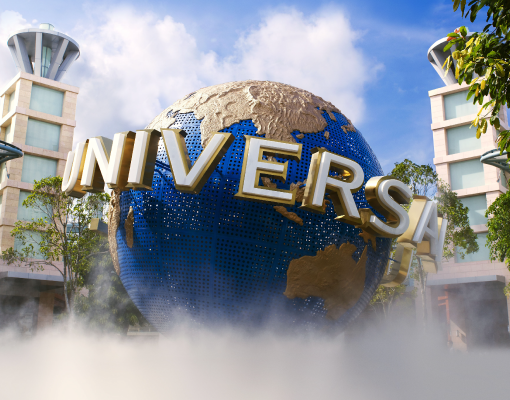 Wave your wands and chug on butterbeer at The Wizarding World of Harry Potter, and revel in all things cute and pink at Universal Wonderland. 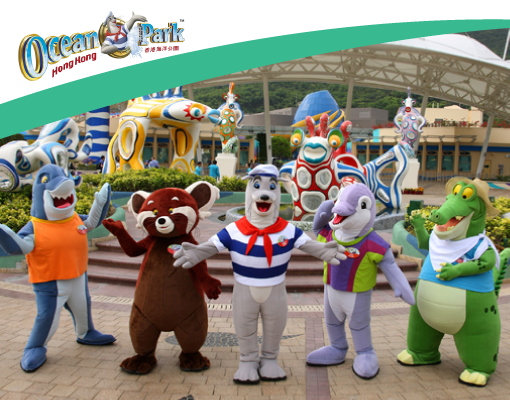 This theme park also features a wide variety of fun ride attractions, and entertaining stage and street shows. The Wizarding World of Harry Potter Walk a day in the shoes of Harry, Ron, and Hermione, as you dine at the Three Broomsticks and the Hog's Head, and shop at Honeydukes and Zonko's Joke Shop. 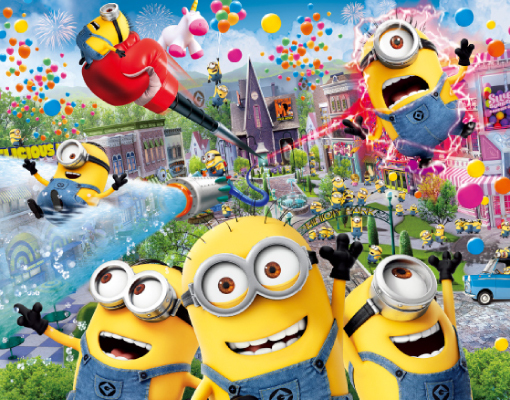 Choose from exciting rollercoasters, interactive street shows, and 4K3D theatre shows, or experience them all! Universal Wonderland Split into Universal Wonderland, Snoopy Studios, Hello Kitty Fashion Avenue, and Sesame Street Fun World, this part of the park is perfect of families and young children. 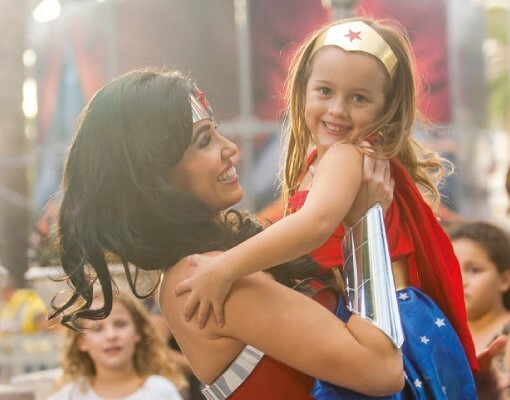 Become lost in a world of fantasy and fun, meet your favourite stars and super-heroes and experience the exhilaration of world-class adventure rides and movie attractions. Plus, children of all ages can now learn to drive on the streets of the kid's size version of Warner Bros. Movie World at the brand new Junior Driving School. Everland Resort, a magical world of adventures and excitement where your dreams come true. It consists of five uniquely themed zones - Global Fair, American Adventure, Magic Land, European Adventure and Zootopia. As one of the highest rated rollar coaster in the world, South Korea's first wooden roller coaster, T-Express, is unanimously the must ride feature of Everland Resort. Kpop fans get to catch their favourite idols perform hit songs at the Live Hologram Theater, where realistic holograms allow them to feel as if they were attending a real concert. Be enchanted with the Moonlight Parade as the illuminated floats and colourful lights brightens the night sky of Everland. Catch the spectacular fireworks at the end of every night to draw a perfect closure to a day of fun-filled adventure. 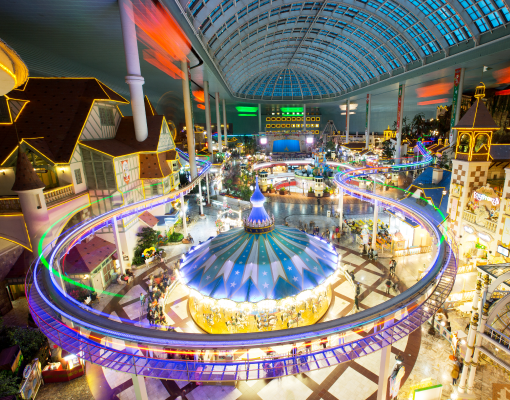 Lotte World is the largest indoor theme park in the world. Consisting of 2 main sections, Adventure (indoor) and outdoor amusement park Magic Island, Lotte World opens all year round regardless of weather. Get ready for a full day of fun-packed adventure with over 40 attractions and spectacular shows and festivals shown over 70 times per day! 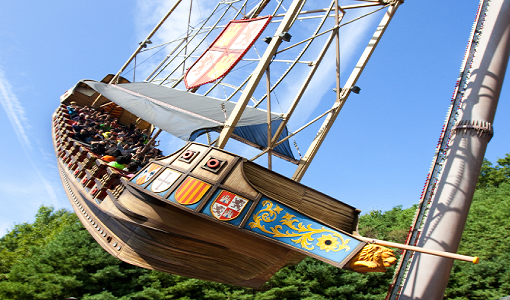 Ride the Aeronauts Balloon Ride, the best mid-air observation course and iconic attraction in Lotte World, perfect for couples on a romantic date. Thrill seekers can hop on to the French Revolution roller coaster in Adventure and challenge the Gyro series in Magic Island for guaranteed electrifying thrills! Kids can also find their paradise in Lotte World with exciting variety of child-friendly rides for the whole family to enjoy. 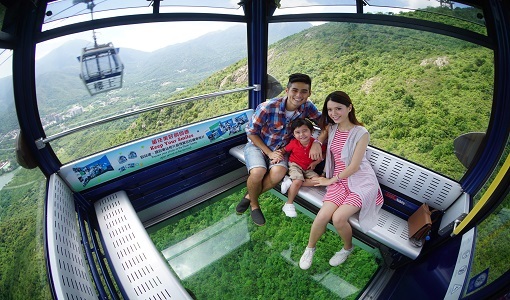 The upscale theme park isn't like your usual amusement park, it is specially designed to combine Greek architectural elements and pristine setting (it's located next to scenic Quan-Yi mountain) into one unique destination for all to explore. Here, there are three main areas, namely Acropolis, Santorini Mountain City, and Trojan Castle. 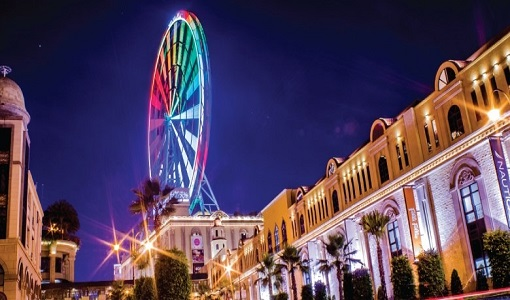 Other highlights include a 55-metre-high outdoor roller coaster, a sky castle featuring themed restaurants and gift shops, a multi-purpose theatre. Issued by Ez-Link Pte Ltd, the ez-link card was the very first contactless stored value card introduced for public transit use on the MRT, LRT and buses in April 2002. Due to its contactless nature, the card completes all its transactions within 0.2 seconds and in this way, revolutionarily makes travelling on buses and trains that much faster and smoother.With the Ez-link card, there's no more fuss and hassle of paying with coins or verifying the correct fare to pay. It is just tap and go!The new Ez-link card which is CEPAS compliant was the first CEPAS card to be launched in Singapore in 2008 and to date, remains the number 1 choice for contactless prepaid card payment in Singapore.Today, the Ez-link card has become synonymous with convenient, quick, accurate and secured cashless transactions. Almost every Singaporean carries at least one ez-link card in his or her wallet not just for transit purposes but for all kinds of lifestyle payment needs such as ERP charges, shopping at retail outlets, dining, government services and so much more. Discover more of Singapore with the Singapore Tourist Pass Plus! Make the most of your time to discover what this amazing and vibrant city has to offer, from inexpensive scrumptious dining to one-of-a-kind shopping to heart-thumping entertainment and unlimited travel on Singapore's bus services, MRT and LRT trains*. The Pass will also enable you to enjoy great savings while maximizing your travel experience in this beautiful and irresistible city. 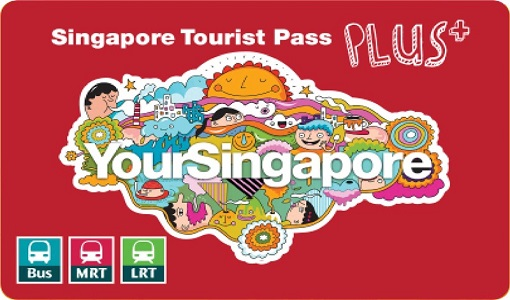 Find out more on the Singapore Tourist Pass Plus here! Enjoy this exclusive complimentary offer when you purchase with us: Xplore Half-Day Tour worth $22 & Limited Edition Postcard Set worth $8! 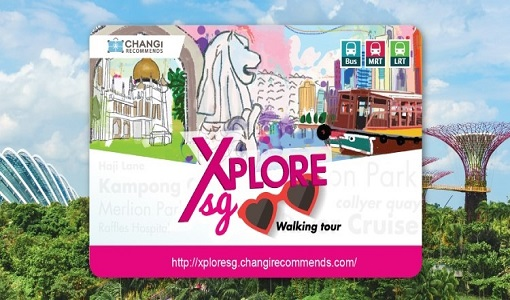 Xplore Half-Day Tour, a walking guided tour around the rich heritage area covering Haji Lane, one of the coolest hangout places with quaint and indie shops where you will be sure to enjoy a different experience of Singapore. Be entitled to a limited edition postcard set too, to share with your loved ones! How can I purchase the attractions and tour I am interested in? Once you have done with the choosing the attractions & tours, click Check Out; otherwise click Continue Shopping to purchase other attractions and tours that catches your interest. Must I use the tickets on the dates I've selected? Yes, you can only use the tickets on the dates you've selected for attractions and tours that comes with date selection. Otherwise, you are free to use them on any date as long as it is used within the stated period. Please read and refer to the fine prints stated on each attraction & tour, including the confirmation email on the utilization of the tickets and passes. What happens if the date(s) I want is not available? The dates could be blocked by the operating partner or that the dates are not open yet. Try selecting a different date or visit the website when the date draws near. What payment methods are available for me? For online purchases on www.travelrecommends.com, we accept payments made on any VISA or MasterCard credit and debit cards. For direct purchases at our airport counter booths, we accept Cash and payments on any VISA, MasterCard, Union Pay, America Express and JCB credit and debit cards. How safe is the e-payment system? All transactions will be processed through a secured e-payment system. Travel Recommends does not store and (or) hold any of credit/debit card details in the system. All transactions processed pertaining to your credit and (or) debit card details when payment is made online, are stored securely in the payment gateway system. Travel Recommends does not have any access to the card details. This is to preserve the confidentiality of you, as the consumer to our website. I am having issues during the payment process. How can I know if the payment is successful? You should get an email confirmation for every successful purchase and booking. Do check your email inbox and spam (just in case it went in there) for email from Travel Recommends. At the same time, please check with the card issuing bank to confirm if a transaction has been made successfully. It should reflect in the bank statement. If the transaction does not reflect in the bank statement and there is no email confirmation, please try to make a purchase again. How can I make use of promo codes? There is a field "Promo" for you to enter the promo code at the Check Out page. Make sure that the promo code is within its validity. The discount will be applied and reflected on the payment page. An error message will be prompted for invalid promo codes entered. Are all the attractions and tours listed available for purchase at Travel Recommends booth in Travel Recommends airport? It is recommended to purchase them online to guarantee availability due to the need for advanced reservations with the operating partners. Attractions & tours that are available for online purchase may not be available for in-store purchase at Travel Recommends booths in Travel Recommends. You will get the confirmation email within 24 hours from the time when the transaction is completed successfully. You will get another email containing either the e-ticket or e-voucher for redemption/utilization subsequently. Keep a lookout for emails from Travel Recommends. There are some changes to my travel plans. Is it possible to change the date of visit for the attractions & tours I have bought for? Each attraction & tour comes with their own set of Terms and Conditions adhering to the policies set with the partnering operator. Please refer to the fine prints of the attraction & tour you have bought. Alternatively, you can email to hello@travelrecommends.com for assistance. Under what circumstances will I be entitled for refund? Each attraction & tour comes with their own set of refund terms adhering to the policies set with the partnering operator. How do I go about utilizing the attraction & tours I have bought? There are three types of tickets/passes, depending on the attraction & tour. E-Ticket: For use directly at the attraction or tour. Email confirmation: Present it at Travel Recommends booth to exchange for the attraction or tour tickets before clearing through the immigration. E-Voucher: Use it to exchange for physical attraction or tour ticket at the destination. Each attraction & tour comes with their own set of refund terms adhering to the policies set with the partnering operator. Please refer to the fine prints and email confirmation for more details. Alternatively, you may email to hello@travelrecommends.com for assistance. What happens if I have cleared the immigration or reached my destination and forgot to exchange my email confirmation for a physical ticket? Please refer to the fine prints stated on the attraction & tour you have bought as they come with their own set of Terms and Conditions that aligns with the policies set by the partnering operator. If you’d like to cancel and get refund on the purchased item, a 10% administrative fee of the final order will apply (refer to Question 2). However, you may request for an express courier service for us to send it to your hotel or accommodation, with a fee starting from $x. This is subjected to availability and time of request as well as to be assessed on case-by-case basis. What happens if I miss my scheduled attraction or tour? Can I arrange to use it another day or for my next trip? Re-arrangement and rescheduling of the tour or attraction will not be granted. We will arrange to refund the price of the attraction or tour you've purchased. Do take note that a 10% administrative fee of the final order will apply (refer to Question 2). What should I do if I did not get any email confirmation? If you cannot find the email confirmation in the inbox, take a look at the spam box in case it went in there as junk mail. We suggest adding Travel Recommends to your email contact list, to avoid similar issues from happening. Banks usually take about 10 business days to process and transfer the funds back into your account, provided that the payment was made with a credit card. Do note that some banks may take up to 30 days and the amount may only be reflected in the next billing cycle. You may wish to check with the card issuing bank on the status. If the funds are not reflected in the billing cycle after 30 days, please email to hello@travelrecommends.com for assistance. I have some queries or feedback. Who can I contact? For online purchases on hello@travelrecommends.com, we accept payments made on any VISA or MasterCard credit and debit cards. There is a field ""Promo"" for you to enter the promo code at the Check Out page. In an unlikely event, due to unforeseen circumstances, where the attraction & tour you have booked is cancelled, you will get an email notification with either an alternative date or a full refund. You may email hello@travelrecommends.com for assistance"